Submitted by ajasaro on Thu, 03/20/2008 - 3:25pm. 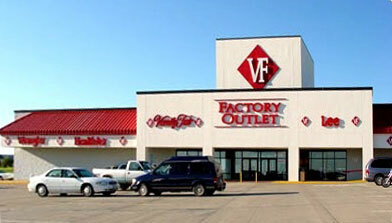 VF (Vanity Fair) Outlets across the USA...VF Outlet, Inc. (VFO), is a division of VF Corporation (NYSEL VFC), is a leader in the outlet retail industry. VF Outlet stores offer brand name jeans, intimate apparel, sportswear, outdoor products, backpacks, swimwear and children's apparel. VF brand names, including Vanity Fair, Lee, Wrangler, Nautica, JanSport and Lily of France, are sold in outlet locations nationwide.